USA Tire can fix just about any tire or wheel that is repairable. USA Tire Service in Utica Michigan has been offering quality new and used tires and wheels to the Utica, MI area since 1975. We have all sizes and brands available for your motor vehicle. We are also lease car specialists and experienced in professional tire repair. Temps are dropping… and so is your tire’s air pressure. It’s 7:00 am, cup of coffee in hand, start your car – ready to go to work – and the dreaded tire light comes on. When the temperature drops outside, your tires tend to lose a couple pounds of pressure, and sometimes it’s just enough to make that little orange indicator light up. No fear, USA TIRE is here!! Stop by today and let us make sure your tires are cold weather ready. Wheel repair, tire repair, new tires, used tires… one stop shop! As we prepare for spring in Michigan, it is important to drive with caution. Warm weather brings out the best—or worst in our already awful Michigan roads! At USA Tire, we offer a wide variety of services which include tire repair, wheel repair, new tires, and used tires. We also specialize in lease car turn ins. Don’t know if your tires will pass your lease? Stop by and we can take a look! We are located in beautiful downtown Utica. Winter weather, snow tires, gift cards, oh my! Let it snow, such a fun tune to hum until you have to drive in the snow! Be prepared to battle the weather and stay safe on the road with good tires. We offer new and used to tires to fit everyone’s needs. We also offer gift cards for your convenience this holiday season! For more information, give us a ring @ (586) 739-6505. As the warm weather approaches, so do the unruly potholes! Be sure to check your tire pressure frequently. We suggest 40 pounds in most passenger car tires to help endure some of the shock from our terrible roads. We offer services to help you if these Michigan roads attack your car, such as: tire repairs, rim repairs, used tires, and much more. We offer services to help you if these Michigan roads attack your car. 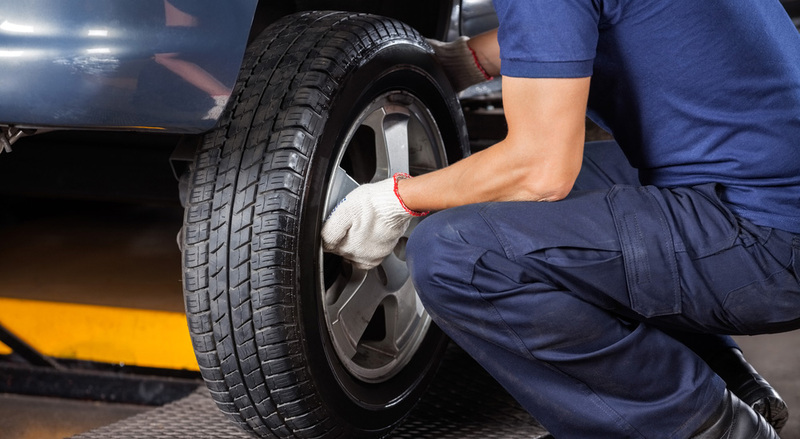 We offer tire repairs, rim repairs, used tires, and much more. Dan and his staff are great. I called usa tire and told Dan I needed a used tire. Next day I walked in and Dan says, hi Rick how are you. Mind you I have never meet Dan before. He was able to fix my old tire and put it on my car and get me on my way. I will purchase my next set of tires at USA TIRE. GREAT EXPERIENCE. Thank you Dan and staff. Dan, Rick, and thier team have been taking care of me and my family's tire needs for 20 year, going anywhere else would be a mistake.... great prices, honest work, no pressure sales..they STAND behind their work. Good place for used tires. The amazing collection of antique gas pumps and automotive memorabilia is a great bonus. Great place. Needed help while out of town. They got me in quick and had me on the road in no time. Best shop I've been too in a long time. Extremely honest and fair pricing. I felt like a kid going in there seeing all the restored pumps, and JJ was the perfect companion while I waited for my tires to get done. This shop is very friendly and felt just like family. They have a customer for life. Going to tell everyone about this place! Thanks for all the help! Always honest and fair! Would never go anywhere else for tires! Dan the Man! He has Always. And through when I needed him!! Absolutely love USA Tire! I've been going there for years. Dan is the best. Not to mention all the adorable shop dogs to keep you company while you wait. And the gas and oil memorbilia is amazing. Highly recommend. Dan is a hoot and this place has personality. Brought in NY own tires to swap. 60 in and out in a half hour.